Plain, wholesome yogurt in a blue bowl. Yogurt has exceptional nutritional value. For women, study after study has proven that eating yogurt every day, even at more than one meal, contributes to a healthy, active life. While there are many yogurts and yogurt mixes on the market today, the plainer the better. Here's why. 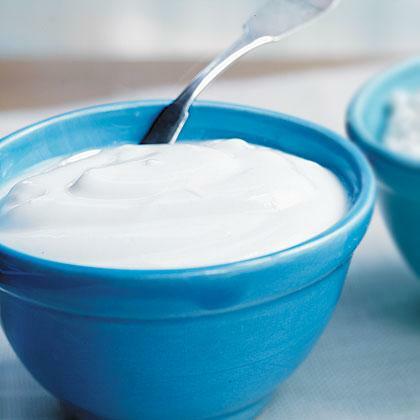 Plain natural or homemade yogurt, has everything a body needs. Stock up or make batches at a time, and you're all set to integrate, as opposed to segregate, yogurt into your daily foods, allowing the chemical reactions of certain food combinations to release vitamins and minerals, boost your metabolism, vitality, and systems, for a healthier happier you. Yogurt acts as a cutter, helping your body digest and process fats quikly and easily due to its acidity and bacterial makeup. The more variety of true and natural foods eaten by a person each day (at least 20) the better a job your body can do at keeping you healthy and happy. The same goes for color. The foods on your plate should NOT be monochromatic. There should be as many colors of the rainbow at each meal as you can possibly manage. Realizing and following these rules, and incorporating yogurt into each, means you've got a winning combination. Not to mention, you'll be fuller and more satisfied at each meal with less. Yogurt is one of the loves of my life. 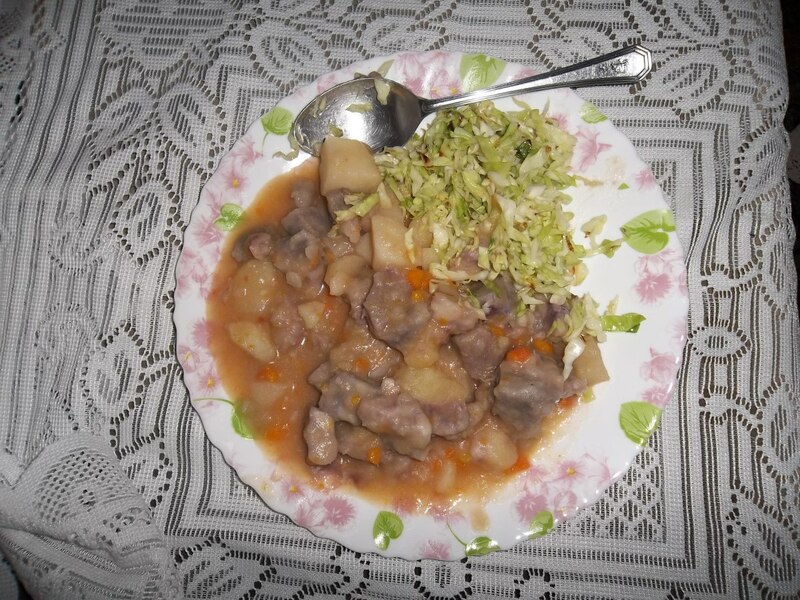 It's a simple yet complex food filled with the necessary bacteria for a healthy digestive system. It decreases the risk of urinary, yeast, and bladder infections. It heals and replenishes the body after antibiotics have ridden yours of both good and bad. Yes, antibiotics may do their job, but they have the tendency to overkill, leaving you and your body at risk of painful infections because the bacteria needed to protect you from these infections are no longer there. Yogurt is fresh, and can add wonderful tang, sweetness, or a refreshing cool to otherwise mundane recipes. A dallop is all it takes. As a child, I loved yogurt. Mind you, I did not love it plain. In fact, I don't think I even liked it plain. I loved it with sugar mixed in. part of my breakfasts almost every day. Add a cup of tea to drink with a scoop of sugared or honeyed yogurt, and I had my favorite snack. As I grew older, I enjoyed less and less sugar in my yogurt. I also started experimenting. Many recipes I thought that I made up, as so many of us do,only to find that someone had already marketed the idea. No matter. I enjoyed every bit of exploration and every tasty path it took me down. I learned early on that the key was, however, not to overdo the yogurt. Too much, and your body doesn't want to look at it again for a while. That's because your body only needs so much. Ever heard of too much of a good thing? This applies to the fabulous yogurt. A dab is all you need. Want more, fine. But remember, your body, if you're listening to it, will tell you when to keep going, and when to stop. While some of these combinations may seem a bit strange to you, I really hope you give them a try (a little bit of yogurt to temp your palette at first, don't go overboard). 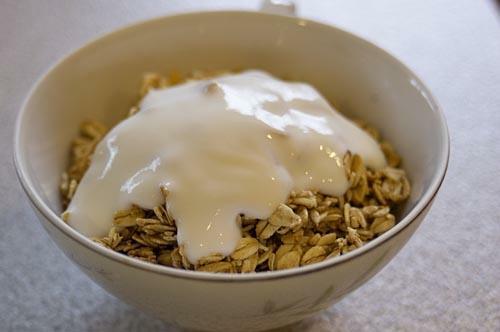 Yogurt with crunchy cereal - honey oat clusters is my personal favorite. 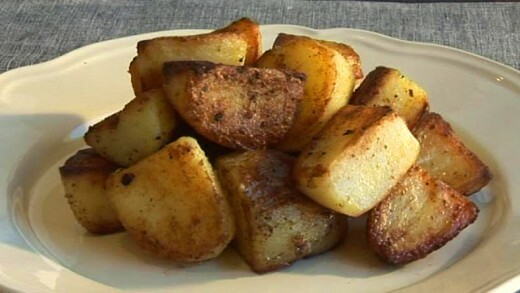 Yogurt on roasted potatoes or in lieu of sour cream on potatoe skins. Of course we all know how wonderful yogurt and fruit and or cereal is. Here's my favorite blend (and for some, like me, order matters; don't ask me why). 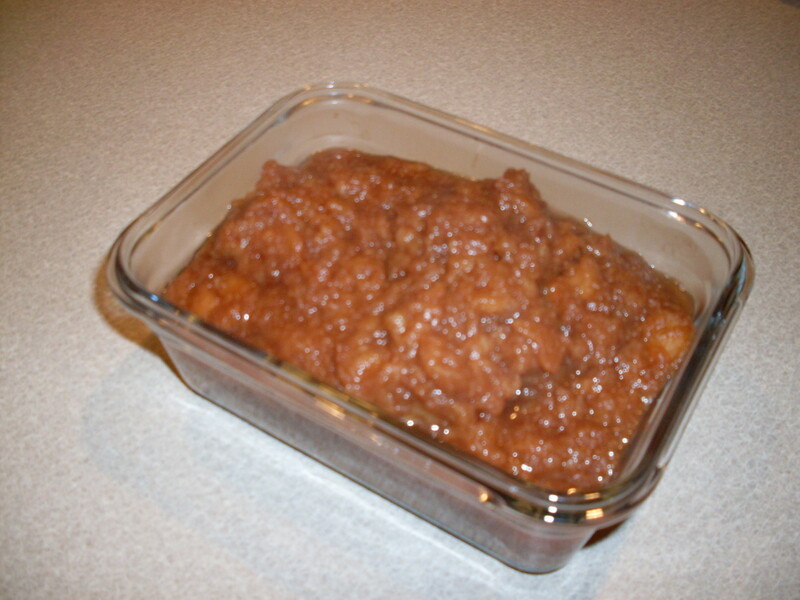 Honey and cinnamon go exceptionally well, and make for an exceptional desert or mid afternoon snack with tea. Do take care, however, because cinnamon is stronger than you think. One small tap is probably all you want. As for the honey, drizzle as much or as little as you want. You can mix or just eat as is. Can you say, "yum!" 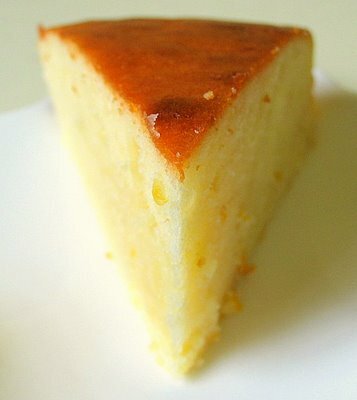 There are many cake recipes out there today that use yogurt as an ingredient. This is a fine way to get your daily intake of yogurt. Whether or not your cake is made with yogurt, a dollop on the side of say a slice of pound cake or banana or blueberry bread, can be quite harmonious. Certain pies do well when substituting a whipped topping with yogurt. Fruits make nice bowls. Here are two of my favorite fruit as bowl ideas. 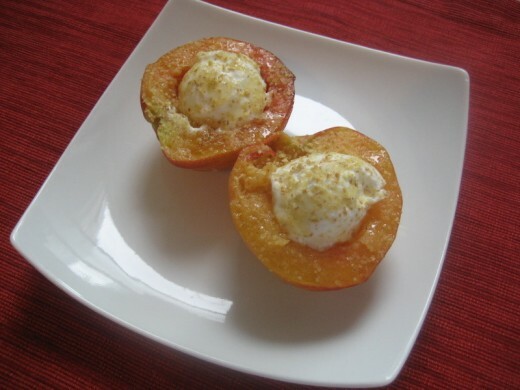 fresh or baked peach, cut in half, and pitted. You can add nuts (almonds or hazelnuts are good), crumbles, a granola or even a spoon of oatmeal, honey, or a touch of cinnamon. Cut a pineapple in half, core it, crush or chop up the juicy fruit of it. In a mixing bowl, stir in a bit of yogurt with the cut up fruit, and set the pineapple bowl in the freezer to chill for a half an hour. Pour your yogurt mix into your chilled pineapple bowl, and enjoy. 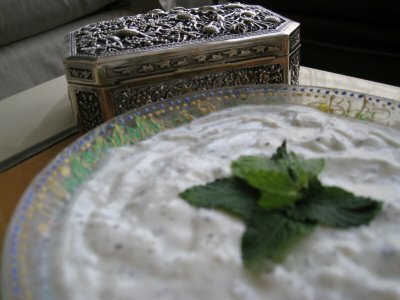 Yogurt goes great with vegetables, and blends well with quite a variety of herbs and spices. 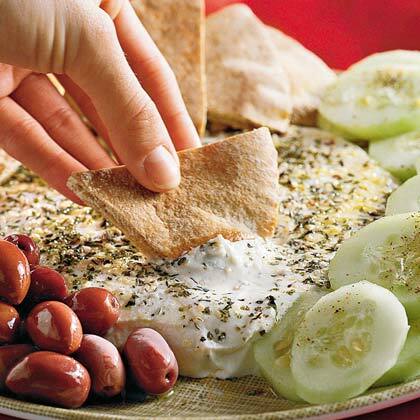 Set some on the center of a platter and surround with cucumbers, tomatoes, black olives, and pita bread for a fantastic and healthy appetizer. Roasted potatoes scream for yogurt, especially at brunch time. I like to set a small bowl of fresh, plain, yogurt at the table with a teaspoon, for people to use. I have to say, yogurt is 10X more flavorful and exciting on potato skins than sour cream, and 10X more healthy as well. Quite frankly, it's also cheaper. This is a definite must try! 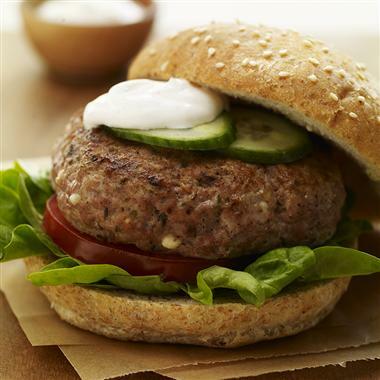 A sprig of mint on yogurt not only adds a touch of pretty to a plate, but this combo is also excellent on meat. Yes, you read correctly... meat. A bit on your plate for your roast or on your hamburger is fantastic. Plain, spiced, or herbed yogurt is also fantastic on pasta and with fried chicken. Call me crazy, but don't knock it 'till you try it. Photo courtesy the daily green.com Please see related links for an important related article concerning Stonyfield Yorgurt. 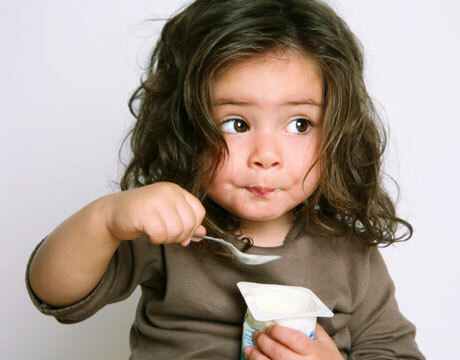 Neither honey nor yogurt are good for a child's developing system. Many tend to allow either of these in a baby or toddler's diet because they're soft, and tasty. But fact is, both are major no-no's. It can cause harmful damage to your child's digestive and bowel systems, causeing cramping, and at times, internal bleeding. A child should NOT digest these tasty treats until he or she is able to chew and digest at-table meats well. Stonyfield yogurt for young children is packaged in No. 6 plastic that includes a suspect endocrine disrupting chemical that may mimic hormones and cause a variety of health problems. 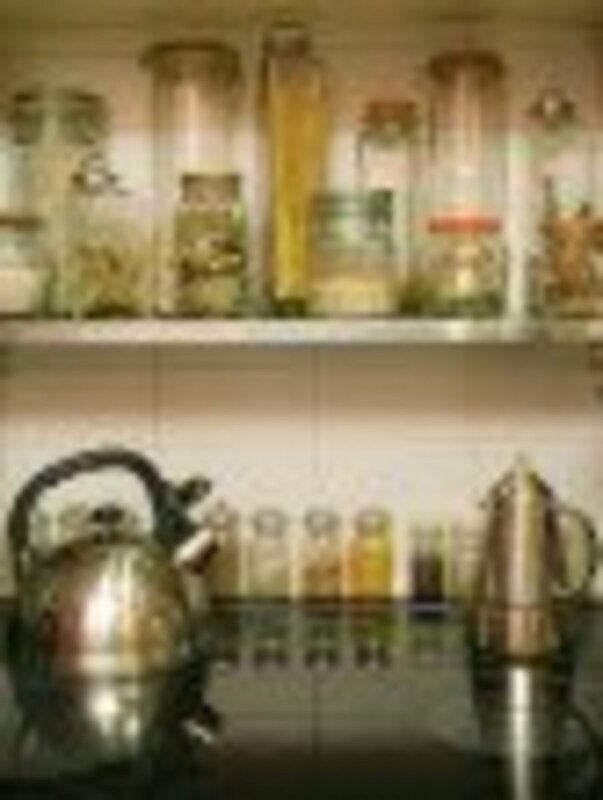 Wonderful blog, this post with photos and step by step recipe on how to make homemade yogurt by writebrained on wordpress. I'm taking the 30 hubs in 30 days hubchallange. Today's topic: yogurt. You know therefore considerably when it comes to this subject, produced me for my part believe it from numerous varied angles. Its like men and women don seem to be fascinated except it one thing to do with Lady gaga! Your personal stuffs nice. At all times maintain it up! I didn't know small children shouldn't have yogurt. A family I know served their son yogurt as a toddler. They thought it was healthy. Yogurt is good on baked potatoes instead of sour cream or butter. Not sure about yogurt on a burger but I would try it once. You are so right...plain yogurt can be served up in so many divine ways that are yummy. These dishes are such a nice addition to our diet as they are healthful and tasty. I so enjoyed that hub.... Thanks for sharing. Amazing hub, Very interesting, love it. Well thank you, quuenieproac! Yogurt is just the best. Thanks for the tips and various ways to enjoy yogurt. I love yogurt and use it for cooking and baking also. Who's that cutie in your avatar? I just want to squeeze those cheeks. You're welcome. Thanks much for the read. And yes, too late now, and if she turned out all right, as I suspect she did, then no real harm done. Hope you're doing well. Wonderful to see you. Interesting info about yoghurt. My daughter loved it when she was younger and now I see you suggest maybe we shouldn't have given it to her. Well too late now, as they say! Thanks for such a lot of interesting stuff about yoghurt. Thanks Lamme. Personally, I'd eat a lot more yoghurt if the kids didn't keep getting to it first. When it comes to yoghurt around here, you've got to be quick. Glad you enjoyed. Wow, I need to go make some yogurt! Thanks for the reminder to get back into the habit. You've done an excellent job with this hub. Michelle, very delicious hub...I'm nibbling on it as I write this. I took a subjective Greek language course once where you just start off reading it. I called it Absorba the Greek and the only thing I remember is learning to dip fresh strawberries in sour cream before dipping them in brown sugar. I know I can't give up the brown sugar, but I'm wondering if dipping them in yogurt first would work. Yummm. Incidentally, I know you are wondering about the word yogurt or yoghurt in the lands down under and much of Britain although our Canadian neighbors prefer yogourt. Personally I prefer the original Turkish yogurt with the g pronounced as a voiced velar fricative. I have been practicing my velar fricatives and if I don't mind saying so myself, yogurt never sounded or tasted better. It's so delicious. I haven't had that in a while, I think I'm going to have to have that with the fam this week for breakfast or an after school snack. Thanks much for the read Betty. I love yogurt with fruit and oatmeal. The other suggestions sound great too. Oh awesome, Dolores! Thanks for letting me know. Surprising, isn't it. Wow is all I could say each time I tried it on something in lieu of mayo or sour cream. Squeeze a bit of lemon in with the potato salad or chicken salad and you've got quite a nice zing. Glad you gave it a try. Perfect for summer. Frieda - someone in my house just bought a huge container of plain yogurt. I totally forgot about Tziziki or whatever but don't have any cukes so I've been slopping all over everything - using it instead of mayonaise for potato salad and chicken salad and it was delicious! OMG!!!! You are sooo not going to believe this, but I have NEVER tried yogurt on dolma. Holy cow, what a fantastic idea! Thanks, man. I think you mean Zorba, by the way rofl! I can always count on you for the info marco, thanks. And by the way, great to see you today. Good to hear JPSO138. Thanks for popping in. Nice to see you today. Hi mrgonzalesleo. I'm thinkin' so! Have you had your yogurt for today? wow! a smart one for the tummy.. I love yogurt.... I will certainly apply what I have learned from your hub. Jen, I'm so glad you came by for a read. Get to those recipes, go crazy, make your own too! Enjoy. Tom Rubenoff, Holy cow! That sounds fantastic! Yes, dill and yogurt are fantastic. I am so going to have to try your recipe. Will you hub it? Please please please? Hey there journey. I haven't eaten at an Indian restaurant to tell the truth but yes, I've heard about their awesome use of yogurt. Matter of fact, I think I'll search one out for out next dinner out night. Thanks for bringing that up. Shalini, yes, you have GOT to try it. It was the best advice I ever gave myself. lol. Your job is so cool. I'm so intrigued by your topics. I'm going to assume that if one is up to it, some yogurt would make a good chaser for a bach's remedy. Jerilee, you are so lucky! Yes, lots of awesome Greek stuffs in Florida. Let me know what you think. 2Patricias, I'm thinking YES! YES! YES! I've made baked stuffed potatoes and scrambled eggs with yogurt and dill weed. Mmm mm. Hi Frieda, this is a great hub. I enjoy how yogurt is often used as a side dip or sauce in Indian restaurants. Sorry guys, have been having major internet connection issues. Very hard to deal with when you NEED you're internet!!! Special thanks to everyone who read and enjoyed this. Hi DoodleLyn. My daughter loves vanilla yogurt. Your favorite concoction sounds divine! You're so welcome and thanks for sharing. emievil, you are so welcome. I know, I feel like I'm going to die without one of these tasty treats every time I see this. I'm really glad I don't have these ideas framed in my kitchen or I'd never be out of there! Casemon, FANTASTIC! Thanks for sharing that one! I'm definitely going to have to give that recipe a try! Candie, neither do I. Just slather some onto something and I'm there! This is a beautifully, well constructed hub. Another great way to add something good and good for you in any diet plan. Awesome! I like vanilla yogurt. I have some every day with bananas, peaches, usually oatmeal thrown in raw, nuts, blueberries. you name it. Love it in smoothies too. Thanks for all the great ideas....awesome hub. Thanks for sharing delicious food such as this. 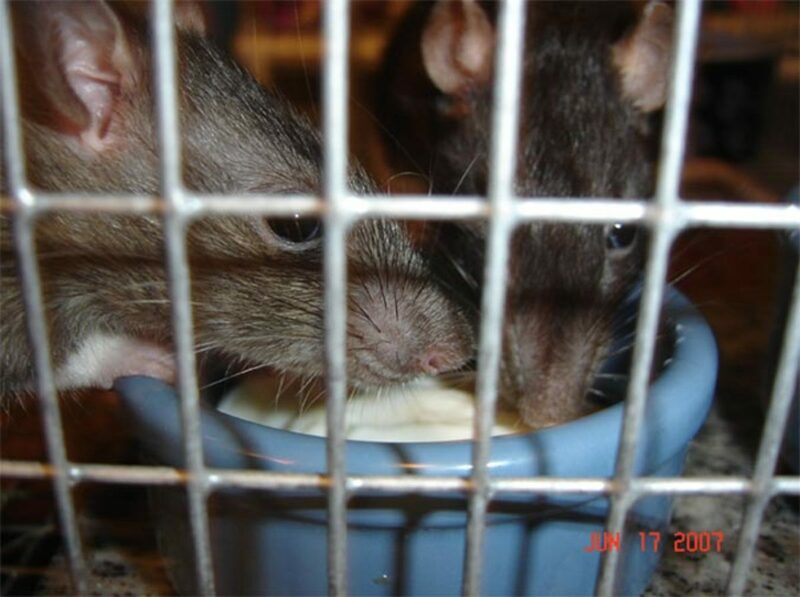 I love yogurt and your pictures here make me really hungry (mmmmmmmm!). Fresh pureed mango with non-sweetened plain curd / yogurt. Getting the ratio right is key, but chill it until it's very custard-like and you'll be in heaven! I really don't care how it's spelled to tell you the truth, and I'm not even sure I say it correctly. ttzz.. iki! I adore ya OGS2!! This hub is of special interest to me Frieda - because we market dairy ingredients. Love all those many ways of eating yoghurt - I've never tried it with roasted potatoes - sounds yum - or in stewed peaches! Going to have to try the yogurt on potatoes, makes sense. We're very fond of the Greek brands of yogurt sold here in Florida. Thanks for another good Hub. Triplet Mom, I'm so glad you are a lover of yogurt. It's so diverse and you can get so creative with it! Glad you enjoyed this hub. thanks for the read. tony0724 - awesome! (Just don't bake it with the yogurt lol, I almost did that once. Don't know what I was thinking). Candie - roflmao. Well, now, one can certainly imagine the pleasure of eating yogurt and fresh fruits on a pottery barn plate! lol. Wish I had one of those. (like it would make a difference - roflmao again). And you're welcome. Not sure if I spelled it totally right though. Thank you for the spelling.. this hub didn't have anything from Pottery Barn in it. I must admit to being a little sad. LOL!! Frieda you have Inspired me to go eat something now . We got yogurt In the fridge .The baked peach seems like a great Idea . Nice job! I am now very hungry for yogurt with fruit!! I can eat yogurt with just about anything and love to make yogurt and fruit drinks. I'm cursed. I love yogurt but am lactose intolerant:) But I can eat it occasionally however so long as, as you said earlier, don't over do it. Also pics and recipes, by the way Frieda. Thanks. Tzaziki? I think it's spelled? It is so awesome! And easy to make. It goes so well with so many things! Why did I write this, I am so starving! I'm going to misspell this, but I love Tziki.. help me out here, the greek dressing with lemon, yogurt and cucumber and you put it on Gyros.. It's my fave!! It is good for men too, of course! I think I get so involved in women's issues, I forget to mention men. Thanks for that. =D I know, I'm hungry too, now. I had to keep setting this hub aside because I kept getting overwhelmed but the yumminess! Thanks for reading.